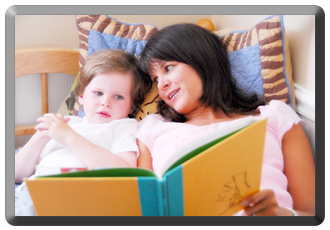 There is general agreement that family literacy support can make all the difference in the school life of a child. A focus on family literacy will increase the involvement of the family and will be time well spent. This book was developed to provide resources for you and your school to use as part of a Family Literacy program. The book is organized around ten monthly Family Literacy Workshops that can be used throughout a school year. 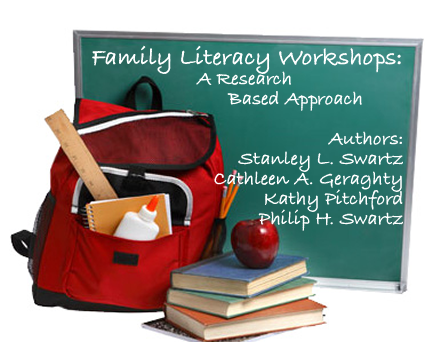 These workshops cover a wide range of topics designed to help encourage an active role for the family in your school's family literacy program. The selection of the topics was based on the research literature that demonstrates both the importance of family literacy support, and what they might do at home to support their child’s learning. No assumption was made about curriculum or school adopted programs and materials but rather the design should be useful in any school program. Each of the monthly workshops includes a workshop at-a-glance summary sheet including learning standards addressed by the various activities, a sample agenda for the event, reproducible materials for the event, and take-home activities, also reproducible, for families to use during the period of time between events. Various supplements have also been included as appendices; a form for teachers to complete identifying community resources that families can access, a brochure for distribution to parents, session forms, and supplemental activities that can be provided for parents during school breaks or holidays.